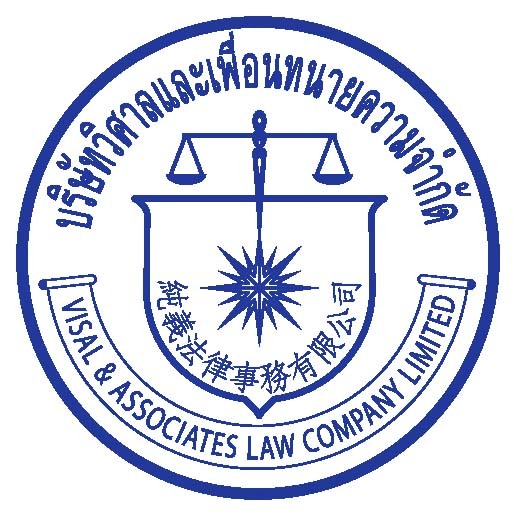 Our premise is located in the heart of CBD of Bangkok, Silom road. We can be easily reached by car and other types of transportation. 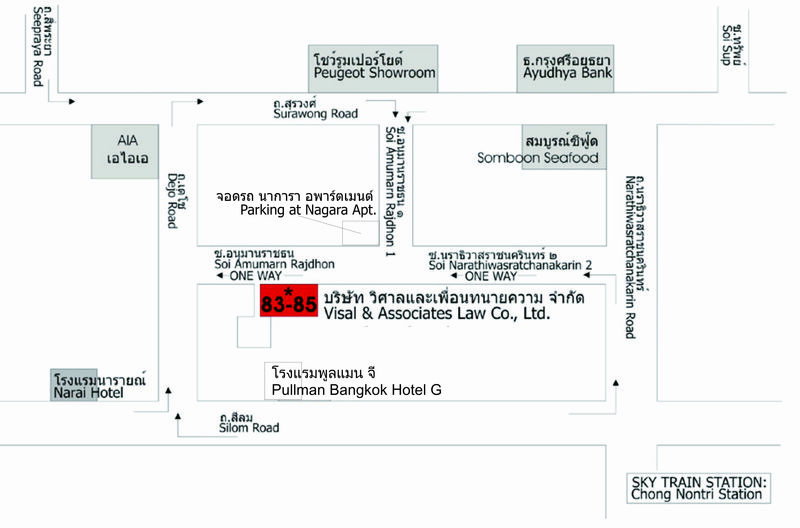 You may park your vehicle at Nagara Mansion (please see a map) which is situated close to our office. Bus numbers 16 162 93 stop on Surawong road (please notice HONDA Showroom” for a drop off) and bus numbers 115 15 163A 172 177 504 514 544 77 PorOr.Por.17 stop on Silom road near our office (please notice “Pullman Bangkok Hotel G” for a drop off). The BTS sky train – Chong Nonsi station is located on Narathiwasratchanakarin Road between Silom Road and Sathorn Road. Our office is 10 minutes’ walk from the station.